Landscape Arch is in the Devils Garden section of Arches National Park. 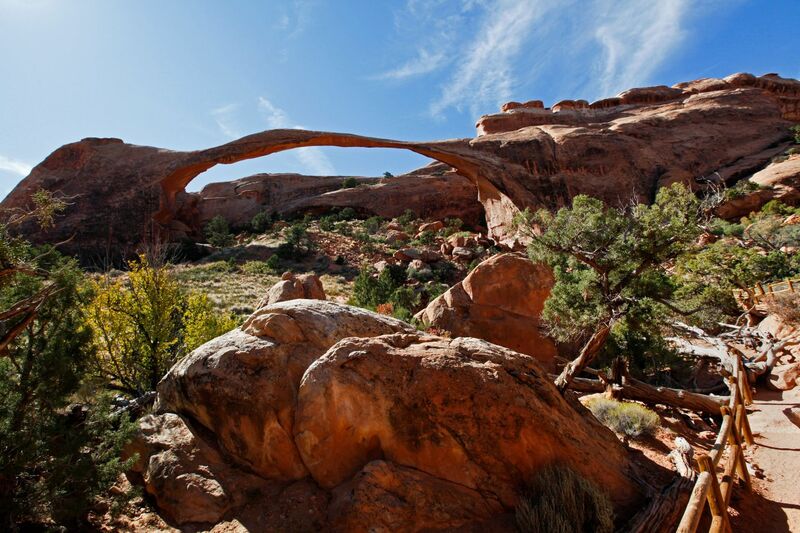 It is a natural arch eroded in Entrada sandstone. Arc natural arches are considered old and near the end of their life cycle. In its thinnest section, the arch is only 6 feet thick, yet it supports a span of rock 290 feet long.